We deliver regular public Lean Six Sigma Yellow Belt, Green Belt and Black Belt courses. Looking for Lean Six Sigma Certification courses in Dublin? We deliver Lean Six Sigma training in Dublin. We run regular public Lean Six Sigma certification courses at a variety of Dublin training venues. These fill fast so book online to secure your place. We also deliver in-house and on premises Lean Six Sigma certification training. These courses can be customised specific to our client’s needs. Our Lean Six Sigma courses are designed for maximum impact. 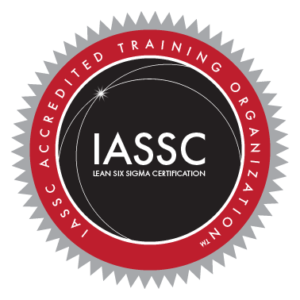 Our trainers are IASSC® certified and have over 20 years professional problem solving experience and are experts at delivering the Lean Six Sigma training. Our Lean Six Sigma courses includes all materials, certification exam preparation and the Trigraph Lean Six Sigma On-line certification exam. We deliver our public Lean Six Sigma certification courses at both Dublin City Centre locations and at convenient M50 friendly locations. Lunch and refreshments are included at all of our Dublin locations. We can deliver your in-house Lean Six Sigma training at your company location or arrange a suitable nearby venue depending on your requirements. Our Lean Six Sigma training can be customised to fit your requirements, for example adding workshops, project mentoring and report-outs to deliver a quick positive ROI for your company. We deliver the full suite of Lean Six Sigma certifications; Yellow Belt, Green Belt and Black Belt courses in Dublin. A 2 day introduction to Lean Six Sigma methodology and tools. Ideal for beginners and for managers, leaders and teams that work in a Lean Six Sigma environment.